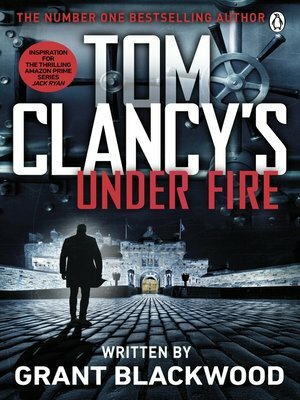 Tom Clancy's Under Fire is the latest breakneck Jack Ryan Jr. adventure novel from one of Clancy's most successful collaborators: Grant Blackwood. On a routine intelligence gathering mission in Tehran Jack Ryan, Jr. has lunch with his oldest friend, Seth Gregory, an engineer overseeing a transcontinental railway project. As they part, Seth slips Jack a key, along with a perplexing message. The next day Jack is summoned to an apartment where two men claim Seth has disappeared, gone to ground with funds for a vital intelligence operation. Jack's oldest friend has turned, they insist, leaving Jack with a warning: If you hear from Seth Gregory, call us immediately, and do not get involved. But they don't know Jack. He won't abandon a friend in need. Joined by Seth's primary agent Ysabel, an enigmatic Iranian woman who is his only clue to Seth's whereabouts, Jack's pursuit of the truth leads him across Iran, through the war-torn Caucasus, and finally deep into territory coveted by the increasingly aggressive Russian Federation. Jack soon finds himself lost in a maze of intrigue, lies, and betrayal where no one is who they seem to be - not even Seth. It seems Seth has a secret of his own. A secret that is driving him to the brink of treachery. Racing against the clock, Jack must unravel the mystery: Who is friend and who is foe? Before it's over, Jack Ryan, Jr., may have to choose between his loyalty to his friend and his loyalty to his country.